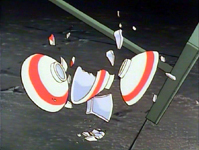 Another odd little piece of Patlabor animation. 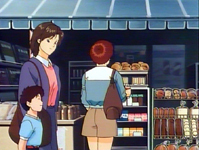 Compilations of music videos were quite common in the 1980's and 1990's in Japan. 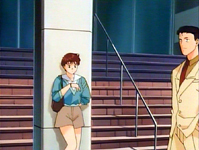 In the west, the best known of these is the "Hurricane Live" compilations released for the "Bubblegum Crisis" OVA series. 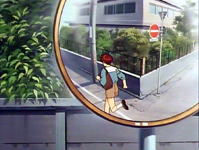 Other well know series such as "Kimagure Orange Road" and "Please Save My Earth" also had similar video clip compilations, which never made it to the English speaking world. 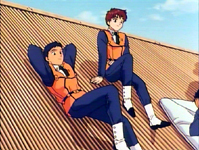 With Patlabor being quite a successful franchise, naturally a video clip compilation was released for the series. 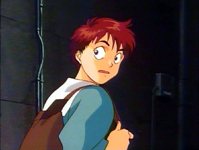 The majority of the footage is sourced from all the anime released up to that time including the first movie and New OVA Series. 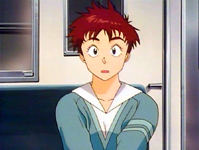 But what makes this video clip compilation so special is the inclusion of five short new pieces of animation labelled "Noa no Ichinichi" which is often translated as "One Day of Noa" or occasionally as "Noa's Day". 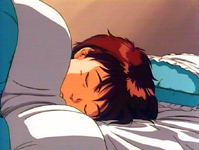 As it sounds, the animation is all about Noa on her day off. 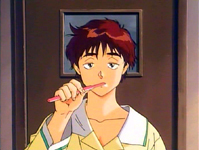 Noa is rudely woken by her alarm clock, gets out of bed, cleans her teeth and gets dressed. 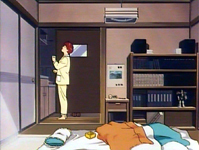 She leaves her apartment, but returns a few moments later to check her hair. 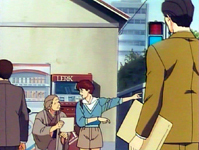 She goes out shopping for lunch, but later at a crossing she helps an old lady with directions, and ends up taking the old lady all the way to her destination. 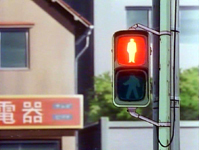 She is now late and rushes back to the crossing and decides to jay walk. But a police officer catches her before she does, and she is reprimanded for it. 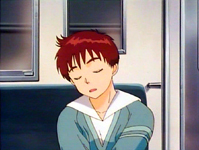 She gets on a train, but falls asleep and misses her stop. She then has to take the train back to station she should have gotten off of. 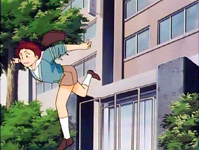 Quite late now, she decides to take a short cut, leaps over a barrier leading into a park, and manages to trip over it, falling onto her face. 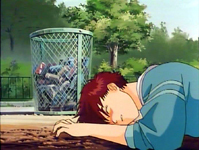 Noa then decides to duck down an alleyway, but bumps into a delivery boy on a bike, knocking him over and smashing the bowls he was carrying. She apologises and pays for the damage. 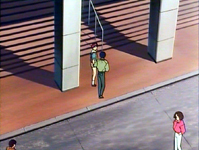 Noa finally arrives at her destination, a concert hall. 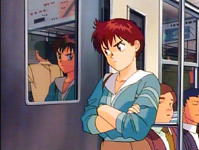 While she waits she pulls out two tickets to the "Patlabor Concert Tour" out of her purse. Soon Asuma arrives and they both go in. 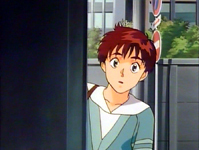 At this point in the video it segues into a live action clip of the song "Namida wo Sagashite" preformed by Kenji Kawai's band with Noa's voice actor, Miina Tominaga, on vocals. 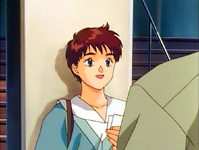 Naturally this was recorded on the "Patlabor Concert Tour", and the full concert was released on video two months after the release of this video clip compilation. 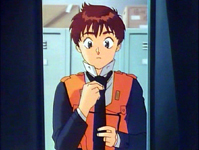 After the live action clip we see Noa in the change rooms at the SV2 straightening her tie and then closing her locker. 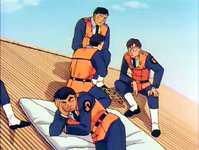 The final scene has the members of the SV2 on the roof of the hanger relaxing. 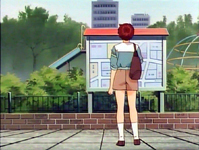 The animation itself is divided up into five sperate parts which appear in between the other video clips in the compilation. There is no dialogue at all during the new animation, only sound effects. 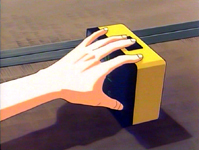 The actual amount of new animation runs just over five minutes. 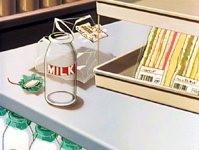 Below is a selection of images from the animation. 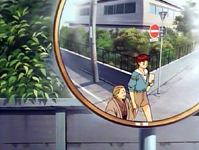 This compilation is not available in English anywhere commercially, but it was fansubbed many moons ago on VHS and may or may not be available to download from somewhere. Because I only like to support official releases, I won't be providing any links to download this video clip compilation. 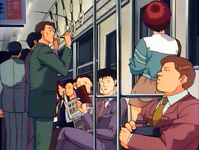 This video clip compilation has previously been released as a single VHS tape and Laserdisc, then as an extra on the New OVA Series Laserdisc Box Set and Patlabor DVD Memorial Box. Currently it is only available as an extra on the "Patlabor New OVA Series DVD Box" and "Patlabor Music Collection" DVD in Japan from Bandai Visual/Emotion. The DVDs is only available in Japan, and therefore will only work on DVD players that are both NTSC compatible and will play region 2 discs (if you don't live in Japan, check your DVD's instruction manual to see if it will play the discs). 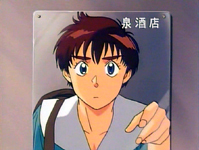 Please see the Japanese Specials and Oddities Releases Video List and Japanese New OVA Series Releases Video List for a complete listing of all releases, formats and product specifications for the video clip compilation. A GWEI Product. ©2003 - 2018 GWEI. 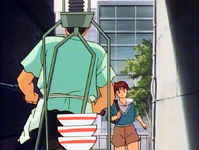 Patlabor Music Clips ©1992 Headgear/Emotion/TFC/Shogakukan. All other logos/trademarks are copyright of their respective owners/companies. Used for review and illustration purposes only.